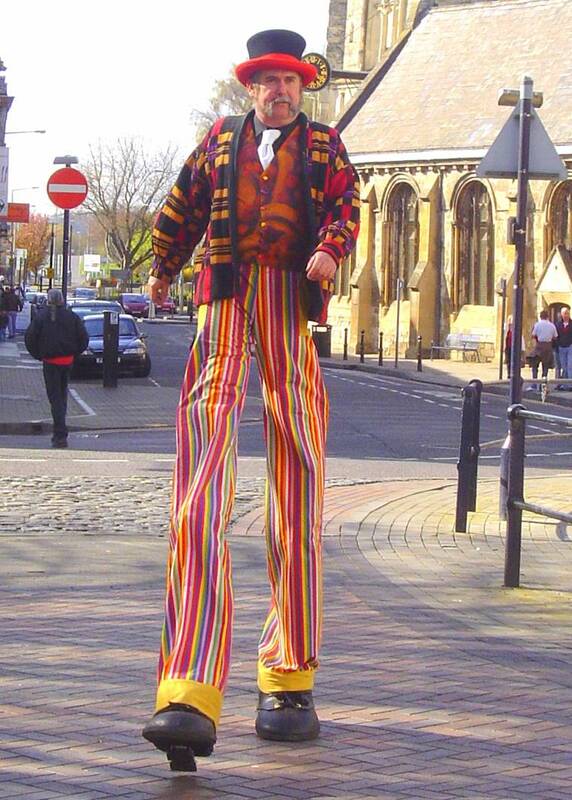 Andy offers stilt walkabout for carnivals, processions, promotional events, fetes etc. in a traditional circus style costume. 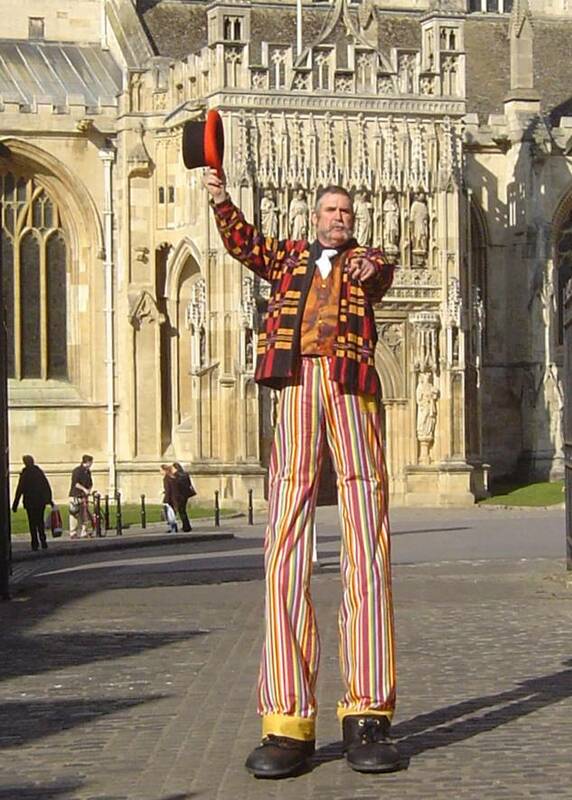 Andy can juggle on stilts, do meet and greet at events and offers plenty of audience interaction. 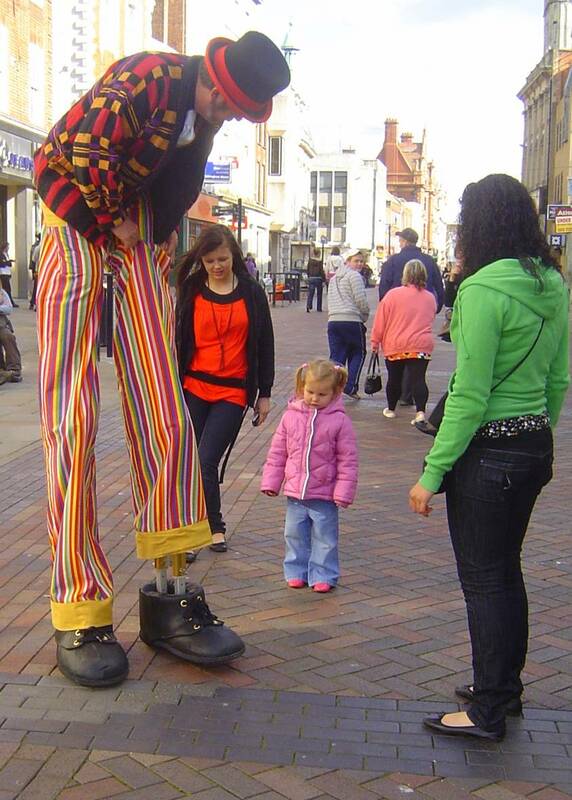 If a full show is not required for your event Andy can offer walkabout entertainment with a variety of skills offering colour and interaction to liven up an event.